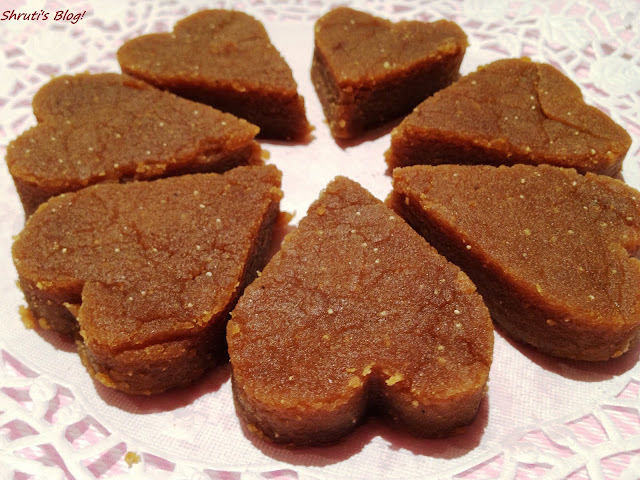 Shruti's Blog: The ordinality of pudding and prasad! The ordinality of pudding and prasad! We are sitting around on the steps of the Krishna temple complex, chatting peacefully or just looking at the scores of people milling around in the yard, greeting each other, or just enjoying a quiet reflective time with their eyes closed. Inside the sanctum sanctorum of the main temple, devotees stand, hands folded and as if in a trance in front of the altar. One has to be very careful while balancing the act of queuing up and grabbing that moment of union with their higher power. And even more careful turning away after the moment of communion. If one is not surprised at finding a fellow believer stealing upon them from behind and lying prostrate in utter humility, one might stumble on them. Some God-fearing devotees, self castigating sinners, inflict symbolic punishment on themselves. The common punitive measures are boxing their own ears or slapping themselves hands crossed- while chanting a prayer and simultaneously doing “uthakbaithak” or sit-ups. Startled by this caveat, some other timorous souls emulate them, to be on the safe side- “just in case”! A young couple accompanied by a middle-aged mother bring in a new born and reverently place the infant at the feet of Ganapati the God of knowledge to seek His blessings. Inside the temple of Goddess Durga, a young couple come in accompanied by a bunch of bachelor friends. The glowing wife is carrying an offering of a packed saree and a blouse piece, a coconut, a box of sweets and places it in front of the altar. She looks expectantly at the husband, who shyly but with shining eyes, slips a brand new car key on top of the offering. Cut back to the main temple. A group in a corner, its membership waxing and waning as people join and leave, chant bhajans to the accompaniment of a dholak, harmonium and little cymbals. Faith and childlike pleasure makes everyone take turns in ringing the shiny brass bells hanging overhead, their varied sizes and gauges producing sounds at different pitches. The “raat ki raani” tree in the temple yard is in full bloom and the fragrance of those starry flowers compliments the sterile beauty of the carnations stockily woven into garlands inside the temple. A lovely aroma of cardamom rises from the tables where priests and volunteers line up to distribute delicious prasad. What is the prasad of the day? Mohanthal, beads of sweet boondi, beasn laddoos, pedha, shira, lapsi, squares of coconut and pieces of apples and other fruit or handfuls of dry fruit? On this warm Friday evening, everyone in the holy premises is at peace, despite the noises of shrieking children, singing, chanting and bell ringing. Peals of laughter and high pitched chatter- the children run and prance around in excitement barefoot, savouring the coolness of the clean marble floor and the freedom after being cooped up in air-conditioned homes all day. In their play they must have completed the quota of “pradkashina” for the entire family. Every time I catch a glimpse of them, they seem to be munching on something all the time. “What have you been eating all this time?” I ask. In a heavy bottomed kadhai or wok, heat the ghee and olive oil and roast the wheat flour. Keep on moving the flour in the medium so that it is uniformly roasted. Add the pinch of salt and poppy seeds halfway through. Continue to roast the flour till it turns golden brown. The best way to check if the flour is roasted enough is to post a runner in another room. If they can smell the aroma of the flour roasting, it is done. Add the cardamom and nutmeg. Meanwhile, boil water in a small sauce pan and add the grated gur/jaggery and keep stirring until the gur dissolves completely. The mixture should not become a syrup, just a solution. Remove from heat when the gur melts and pour it into the roasted flour carefully and mix well. Be aware of the spitting of the mixture. Cook covered for a minute or two, making sure all lumps have been broken and the mixture is smooth. Serve hot in a bowl. You can serve it cold as well, but then, it is best served shaped into cakes. For this, pat the warm mixture in a plate and when cooled, cut into shapes. In Marathi, this is called a khantoli! Phew, made it! I was in a hurry to write this post as I wanted to meet the deadline of thr 18th of August- to submit my entry to Sangeeta and Jagruti's event "Celebrate the month of Shravan!" beutiful recipe. and lovely description. The summer of our content ! Habit forming memories...and mango dal! Oh! Nooo! mother just said, "Let's see"!